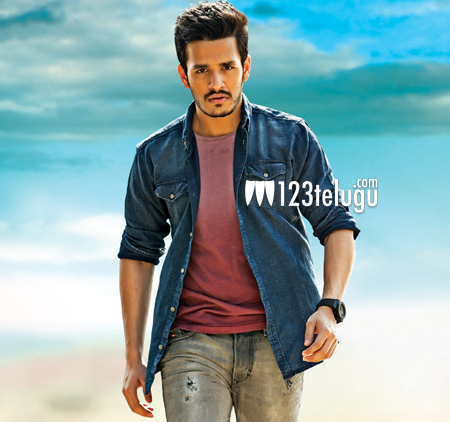 Akhil Akkineni is easily one of the most popular star kids around today. He is making his debut with a mass entertainer that is being directed by V.V. Vinayak. Shooting of this film is going on a brisk pace and the recent Thailand schedule has been completed successfully. Some of our unit sources reveal that Akhil is quite content with the way his film is shaping up and is in awe of Vinayak’s movie making skills. The film’s first teaser which was out recently had a tremendous impact. Touted to be an out and out action entertainer, this film has camera by Amol Rathod and Sayesha Saigal will be seen as the heroine.